From trendy west coast fashion to classic Parisian looks, fashion bloggers are at the heart and soul of the fashion industry. But, with so many fashion blogs to choose from, finding a quality fashion blog that speaks to you may be harder than you think. That’s why we have scoured the internet and compiled this list of the best fashion blogs. This list is going to include a good mix of well-known and lesser-known blogs, as well as North American and international blogs. So regardless of your personal fashion preferences, you should be able to find a blog or two that speaks to your fashion taste. For more fashion know how checkout our list of the best makeup brands and best perfumes. Probably best known for her street style section (Stockholm Streetstyle), blogger Caroline Blomst also features her own personal blog, as well as up and coming fashion bloggers on her site Caroline’s Mode. If the street style of major European cities appeals to you, Caroline’s top-notch street photography is a no-brainer. Man Repeller’s humorous name was born from the realization that “Good fashion is about pleasing women, not men, so as it happens, the trends that we love, men hate. And that is fantastic.” Man Repeller is the brainchild of blogger Leandra Medine. And, while humorous, Medine’s blog showcases some serious fashion and is so well-done that it has received several blog awards. Gal Meets Glam covers everything from fashion to beauty to home and travel. Julia Engel’s blog has the goal of adding a little glam to everyday life. Julia also occasionally collaborates with the popular fashion and travel blog The Londoner, making for fun posts. Typical posts include topics like the best products for healthy hair, daily looks, and favorite warm weather destinations. Created by U.S. blogger Wendy Nguyen, Wendy’s Lookbook is a personal fashion blog. The blog features wearable, but unique pieces, as well as great photography and an appealing layout. As Wendy notes in her bio, she finds inspiration in art, nature, culture, architecture, food, people, and music. These are all things that make their way into her blog. A fashion, beauty, and travel blog, The Sweetest Thing also has a strong Instagram presence. While blogger Emily Gemma is based in Tulsa, many of her posts are shot in other cities and countries around the world. All of these different locations will allow for a wide range of interesting posts for readers. Typical post topics are going to include things like makeup routines, airport/travel style, and season must-haves. One of the significant better street style blogs, Scott Schuman’s Sartorialist is a creative and edgy masterpiece. While based in the U.S., Schuman’s street style photos cover the globe. The site covers men and women’s street fashion, as well as fashion shows and style profiles. 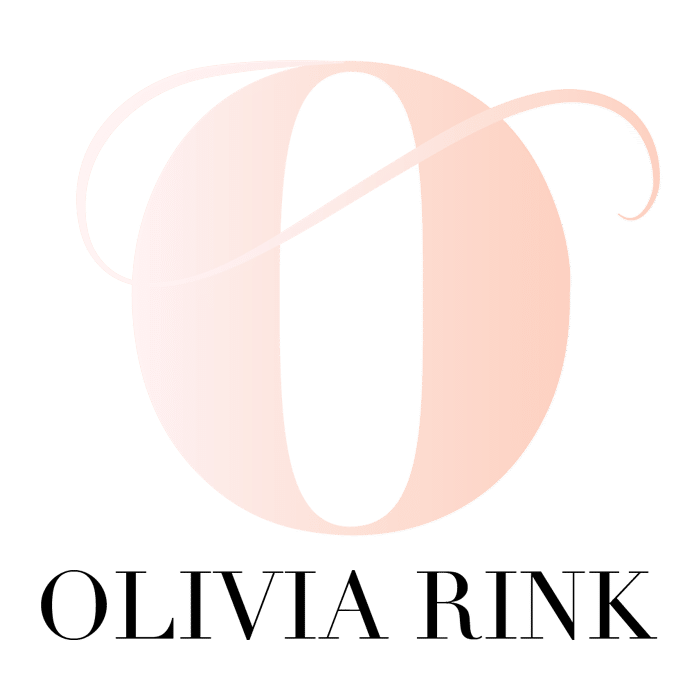 Created with the petite woman in mind, the Olivia Rink blog was created by 4’ 11’’ former cheerleader Olivia. Based in Chicago, the blog centers on personal stories, daily outfits, and décor and styling tips. If you are a petite girl that struggles to find clothes that flatter and fit, this is the blog for you! The Blonde Salad is the creation of Italian fashionista Chiara Ferragni. Ferragni, known for her shoe line and collaborations with major fashion houses, began the blog in 2009. 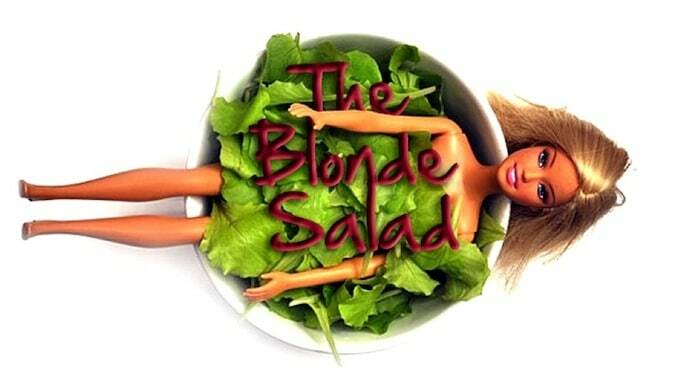 Today, The Blonde Salad is a major blog, not just in Italy, but worldwide. The blog features Ferragni’s looks, as well as travel photos, stories, and fashion inspiration. We Wore What is the brainchild of native New Yorker fashion influencer Danielle Bernstein. The blog began as a showcase for daily outfit inspiration. It now covers everything from fashion to interior design to menswear. With more than 1.5 million followers, We Wore What is a prominent fashion website for those who love all things fashion related. A men’s fashion blog, What My Boyfriend Wore began with outfit documentation on Instagram. Today it has evolved into fashion for the ordinary guy. The where, what, and how of men’s style is featured on the blog, as well as the glimpses into a gentleman’s life on the tip of Africa. If you already have a great sense of men’s fashion (or need some), this is the site for you. Christine Andrew’s Hello Fashion blog is a one-stop shop for all things fashion related. It has been featured in Vogue, Harper’s Bazaar, and Marie Claire, just to name a few. Begun in 2011, the site initially showcased Christine’s favorite sales, buys, and fashion finds. Today it features everything from family and travel to fashion, beauty, and home decor. Amlul is run by Gala Gonzalez, a London based stylist, and creative director. The blog features an effortless style that is documented regularly for followers. Gala also features other content including travel, fashion weeks, DJ sets, and parties. With the goal of displaying, sharing, and learning, Amlul is a sophisticated fashion blog for the Renaissance man or woman. Amber Fillerup Clark is the creator of the Barefoot Blonde blog. Along with a popular blog following, she also has a huge Instagram presence as well. On her blog, she details all things beauty, fashion, and fitness related. With two young kids, Amber’s blog also serves as a fashion inspiration for young mothers. The author of Song of Style is the accomplished Aimee Song. Song is a New York Times bestselling author and a Forbes 30 under 30 nominee, just to name a few accomplishments. Her blog features fashion, design inspiration, DIY and more. Aimee also does a number of YouTube videos focused on fashion and interior design as well. So if you love learning new things in video format, Song of Style could be a great option for you. Harper and Harley is one of the best fashion blogs for minimalism in fashion, beauty, and lifestyle. The blog was created by Sara Crampton, who is one of the premier style bloggers in Australia. Sara is also a star on the reality TV show Fashion Bloggers as well. Those looking for timeless wardrobe essentials will love Harper and Harley and its “less is more” philosophy. Nadia Aboulhson’s namesake blog features engaging fashion, beauty, and travel pieces. A Wilhelmina model as well, Nadia’s blog provides a variety of unique fashion content. Nadia also offers a “Shop by Nadia” for curated clothing and jewelry. Julie Sariñana is one of the top lifestyle and fashion influencers in the industry. Sincerely Jules allows Julie Sariñana to share her fashion knowledge with the rest of the world. The blog features Julie’s personal style and daily fashion inspiration, as well as her clothing line Shop Sincerely Jules. For inspirational and achievable fashion ideas, Sincerely Jules is the blog for you. The creation of Blair Eadie, a former Gap Inc. merchandiser, The Atlantic Pacific features the always evolving and inspiring fashion of Blair. Blair’s fashion has been featured in a variety of print and online publications as well. Some of these include Vogue, Elle, and Harper’s Bazaar. Blair’s timeless yet quirky style is something to aspire to. So if you love all things feminine, including a bold lip and a high heel, The Atlantic Pacific fashion blog is for you. This fashion blog was created by Alex Stedman, a London based freelance fashion stylist. The Frugality is not about living off of toast (as Alex puts it), but is instead a blog devoted to spending your money where it counts. The blog features Alex’s fashion, but also provides city guides and living columns. A fashion blog about the sartorial savvy of the senior set, Advanced Style shows that style has nothing to do with age. The blog’s creator, Ari Seth Cohen, a photographer, and author, compiles fashionable street style images from the older crowd. If you need some fashion inspiration (no matter your age!) check our Advanced Style. Both an e-commerce website and a blog, the Olivia Palermo website is the brainchild of NYC socialite Olivia Palermo. Known for her chic and seemingly effortless style, Palermo’s blog features photos from fashion weeks around the globe as well as her own personal fashion. The blog also features a lifestyle and tips section, as well as a boutique curated by Palermo. Designed for the professional woman, blogger Mary Orton features looks appropriate for the office. As Orton relates, “You don’t have to dress like a man or your Aunt Ethel to get ahead…[but] you can have a lot of fun with fashion within the confines of professional appropriateness.” For a classy, polished look Memorandum is the place to go. Perhaps even better known for her Youtube makeup channel “Makeup by Camila,” Coelho’s blog features both fashion and makeup looks, all in large picture format. As a Brazilian blogger, Camila Coelho’s blog is in both Portuguese and English and is popular in both Brazil and the U.S.
Run by Carly Heitlinger, Carly the Prepster is precisely what you would expect from the name – cute and preppy looks. In addition to featuring preppy fashion styles, This fashion blog also features a lifestyle section, as well as documentaries and shopping links. Fashion Toast was originally started as an eBay shop full of vintage finds. It now features creator Rumi Neely’s personal style, an ever-changing west coast/vintage look. Neely’s blog also often features another well-known blogger, Bryan Boy. Together these two produce some fun and unique fashion looks. Finding your unique style, or the clothing and accessories that match your personality can sometimes be a challenge. Add in the changing seasons, and you are sometimes left with more than you can handle. These fashion blogs are going to help remove the confusion and help you find your unique style and look. So whether you are a fashion expert or new to fashion, this list of the best fashion blogs is going to provide you with a great starting point. 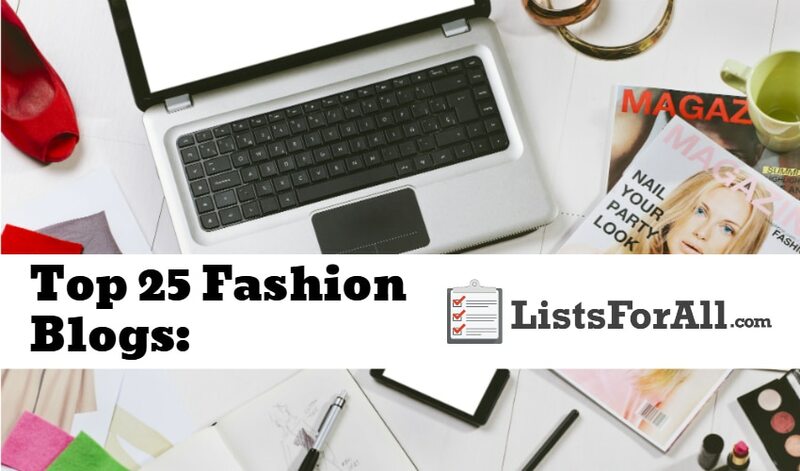 Did we miss any fashion blogs that deserve a spot on this list? If you believe that we did, please comment them below so that we can check them out. Are you shopping for new design fashion dresses for women .Shop online for design fashion dresses on #ashtag you will find very good collection of verity of new collection on http://www.ashtag.in The price is very much attractive for every Product. Agreed. No one on this list is new. It would be great to hear about the bloggers who may not have as large of a reach but are doing interesting things in the fashion world and will become the next big thing. More blogs, more ideas. Love it! Check out Dukanee.com for stylish shoes, clothes , accessories and more. The best Fashion blog for every one.